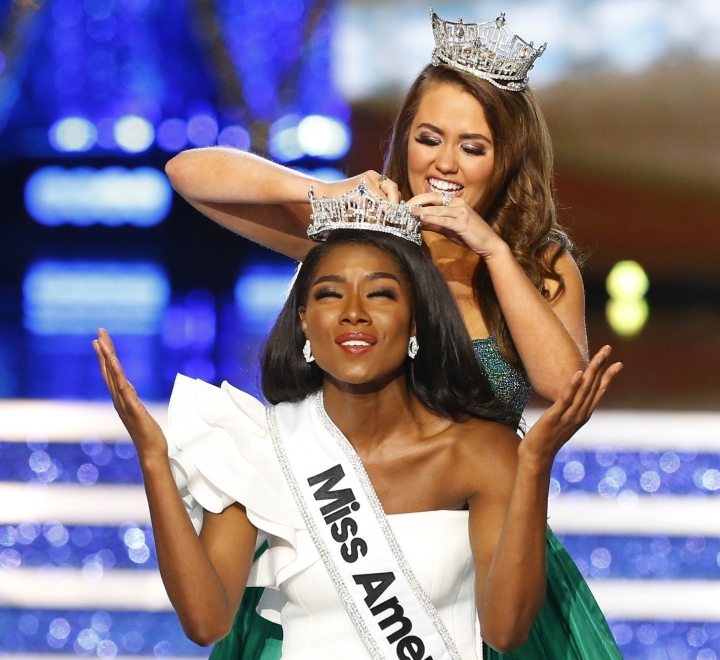 NEW YORK — The Miss America ceremony subtracted the swimsuit competition for the first time in its 98-year history, and subtracted one million television viewers, too. 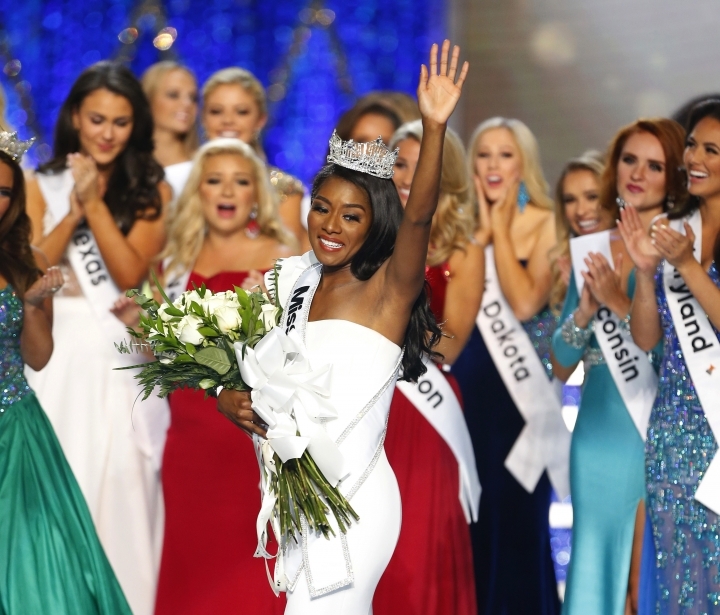 It was the pageant's lowest viewership since 2009, when it was shown on cable's TLC channel and reached only 3.54 million people. It returned to broadcast TV on ABC in 2011, and its audience has gotten as high as 8.6 million in 2013. Viewership has declined steadily in recent years, from 7.1 million in 2015, to 6.29 million in 2016 and last year's 5.35 million. ESPN was the week's most popular cable network, averaging 2.57 million viewers. Fox News Channel had 2.26 million, MSNBC had 1.99 million, USA had 1.38 million and HGTV had 1.35 million. ABC's "World News Tonight" topped the evening newscasts with an average of 8.3 million viewers. NBC's "Nightly News" had 7.5 million and the "CBS Evening News" had 5.9 million. For the week of Sept. 3-9, the top 10 shows, their networks and viewerships: NFL Football: Chicago at Green Bay, NBC, 22.12 million; NFL Football: Atlanta at Philadelphia, NBC, 19.03 million; "NFL Pre-Kick Show" (Thursday), NBC, 15.61 million; "NFL Pre-Kick Show" (Sunday), NBC, 15.41 million; "NFL Weather Delay," NBC, 12.76 million; "The OT," Fox, 12.33 million; "America's Got Talent" (Tuesday), NBC, 10.7 million; "Football Night in America," NBC, 10.46 million; "America's Got Talent" (Wednesday), NBC, 9.89 million; "NFL Opening Kick-off Show, NBC, 8.73 million.